Hey Guys, I wanted to share something today that is near and dear to my heart. One of the twincesses has severe child eczema and she was constantly itching, scratching and having incredibly rough skin on her hands and feet. 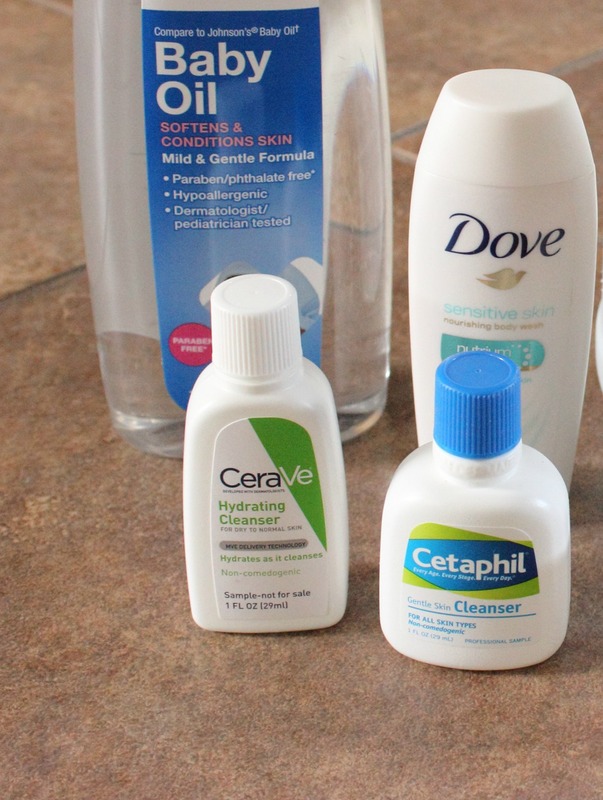 Over the years, she is now 5, I have found some things that really help with her eczema and I wanted to share these things with you today in hopes it can help you too. Now of course her skin isn’t perfect but its definitely getting better, and I would love to hear any tips and tricks you have as well. 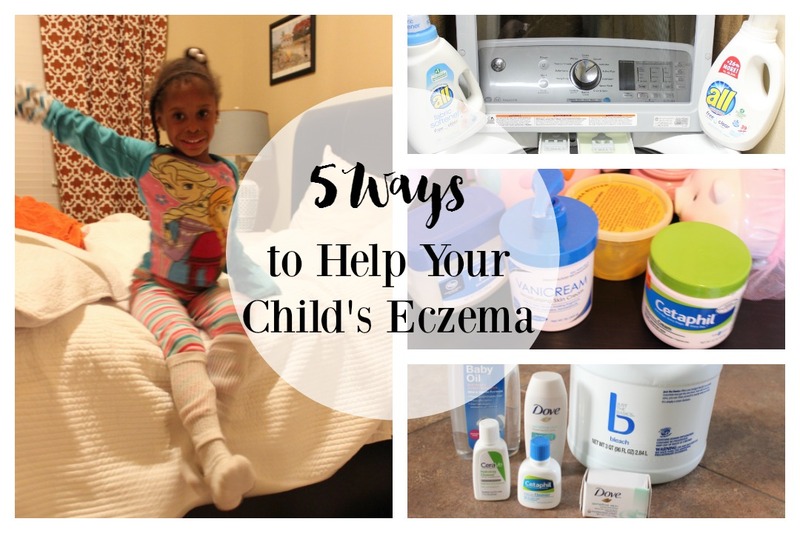 So let’s get started with 5 things you can do to help your child’s eczema today. I use all® free clear detergent and all® free clear fabric softener to wash all of the girl’s clothes, sheets and towels. In fact anything that touches their skin including shoes. This is something their dermatologist, allergist and their pediatrician recommended to me and it has helped tremendously. I couldn’t believe all three of those doctors actually agreed on something and when I did some research I found that all® free clear detergent is not only the #1 recommended detergent and fabric softener but it was also awarded the Seal of Acceptance by the National Eczema Association for having no dyes, perfumes, certain chemicals, and irritating residues. 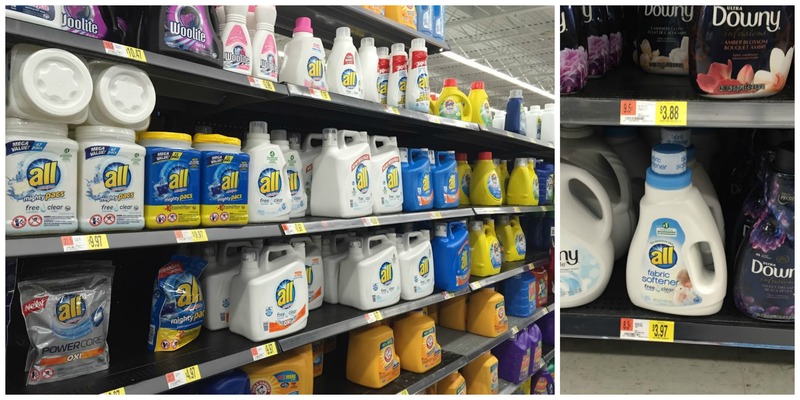 I love that I also have lots of choices, because in addition to detergent I can just pop into my local Walmart and get all® free clear Mighty Pacs®, all® free clear fabric softener or all® free clear dryer sheets. Now my girls are active, which is a nice way of saying they come home from school looking like they have been rolling around in grass, mud and paint all day. 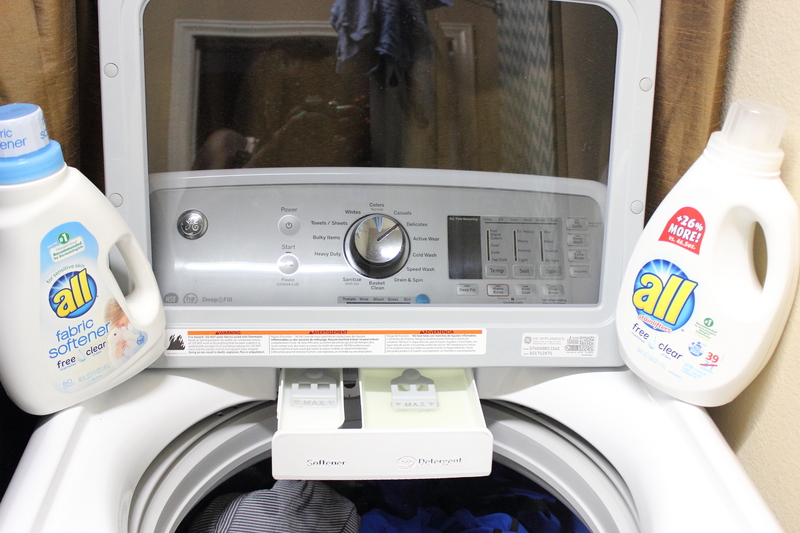 So needless to say, I can confirm that all® free clear detergent does a great job being gentle on their skin yet it packs a punch at getting their clothes super clean. Despite popular belief baths are actually good for child eczema, once a day is just fine. With eczema the skin is lacking moisture and water is the best moisturizer. We add oils such as mineral oil (baby oil), coconut oil or olive oil to their baths and sometimes vinegar to help keep bacteria off the skin. My daughter constantly scratches her skin and those open cuts are suspect to infection. I use a mild soap when bathing such as cerave, cetaphil or dove soap, I never use harsh soaps or bubble baths as they can agitate the skin. The key to bathing with eczema is to moisture as soon as they get out of the water to lock in that moisture, simply pat dry with a soft towel (washed in all® free clear of course) never rub the skin with the towel, just pat and immediately slather on creams. Keeping the skin moisturized is the hardest thing to do with child eczema. The key is knowing the difference between a lotion and cream. A lotion is more liquid based and usually comes in a bottle with a pump while a cream is much thicker and usually comes in a tub. I try to moisturize my daughter at least three times a day and I alternate between creams so her skin doesn’t get used to it. 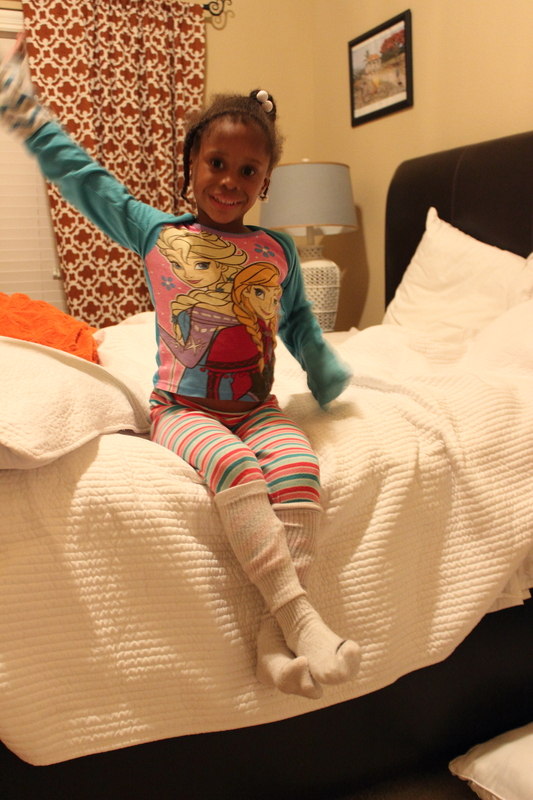 The moisturizers I use to keep her skin soft are cerave, vanicream, cetaphil, shea butter and vaseline. 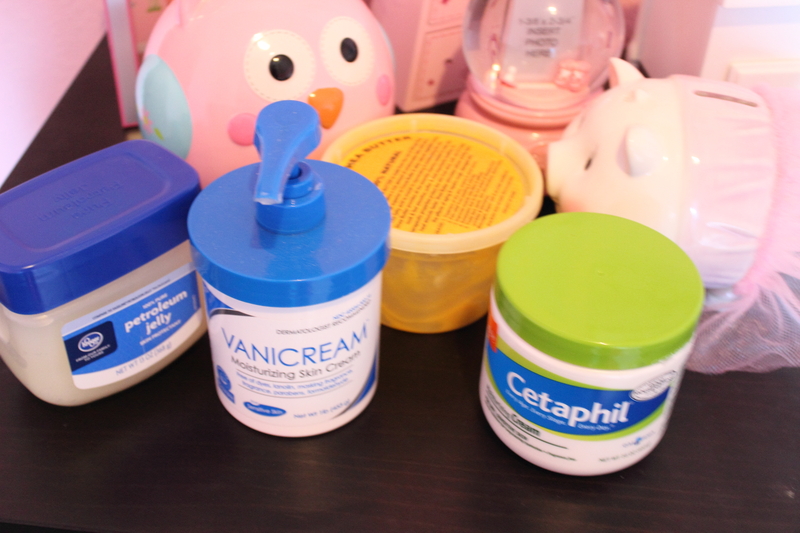 I like to slather on a cream and then add vaseline on top of the cream to seal in the moisture. Scratching is so difficult to stop in child eczema, when your skin itches constantly it is really hard to get your toddler not to scratch it. Keeping nails clipped to prevent scratching and breaking the skin is imperative. I also love using Scratch Me Not flip mitten sleeves to prevent scratching at night (being sure to wash the sleeves in all® free clear detergent). 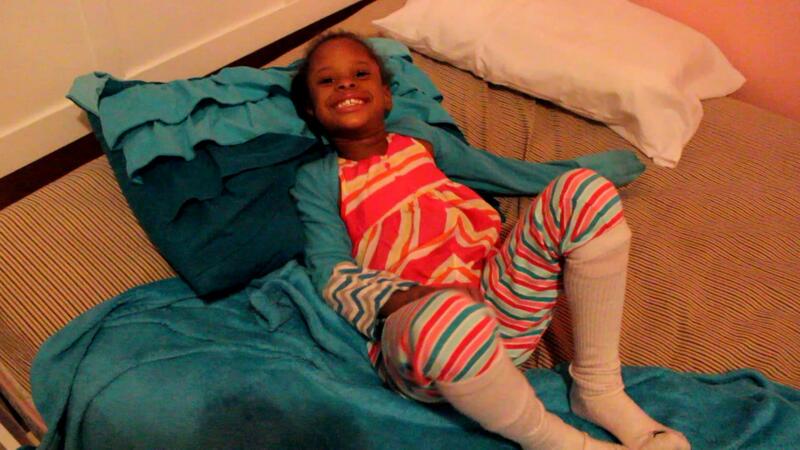 My daughter also wears long socks to prevent her from scratching her feet. And Benadryl also does a good job of calming her itching. Using wet bandages is another way you can moisturize, simply slander on creams and then wrap the skin in moist bandages to keep moisture on the skin constantly. This is great for nighttime, I will usually only wet wrap her feet since her feet and hands are her problem areas. I also like to keep a humidifier running in her room at night to keep moisture in the air as well. And lastly I try to make sure she drinks lots and lots of water so she is moisturized from the inside out. 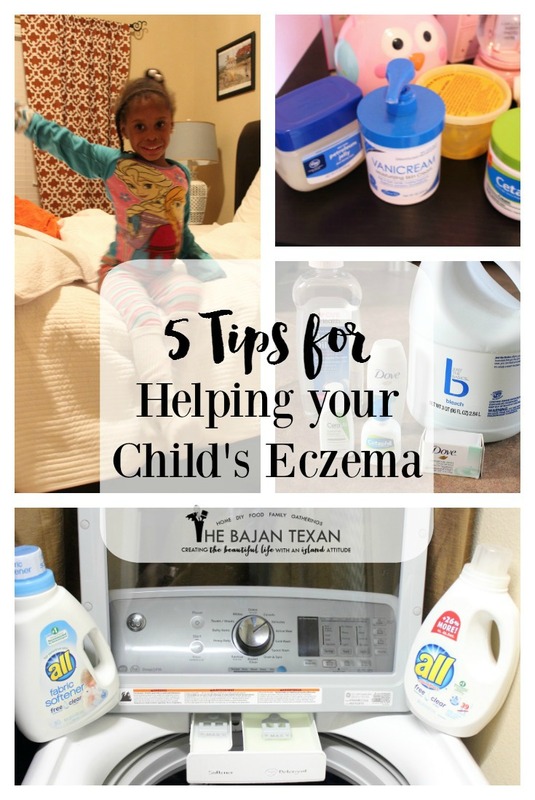 I hope these tips for dealing with child eczema were helpful to you. So what are your tips for dealing with child eczema? I highly recommend you try all® free clear products if you have sensitive skin or a skin condition, or if you just want something that is free of extra chemicals, dyes and fragrances. 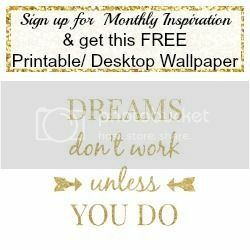 And check out fun summer projects and other ways to use all® free clear by joining the all® free clear community and connecting with parents just like you!